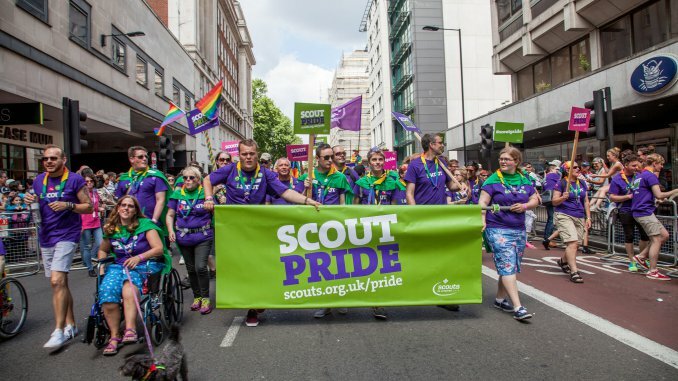 2015 has been a mammoth year for Scouts across the world, and the same applies here at Scout Radio as we’ve experienced a wide range of events over the past 12 months. In the spirit of 2015, and to get in the mood for the forthcoming year, we’ve put together Scout Radio’s 12 Scouting highlights from 2015! January brought WinterCamp at Gilwell Park and Hawkhirst, so how better to celebrate this month than to enjoy our highlights package from the event? And who can forget that Broadcasting and Radio became a part of the Scouting badge programme in January for all to experience and learn about? Something that really brought excitement to our team! 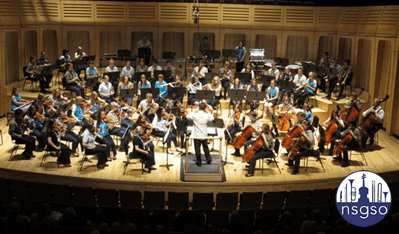 In February, Scout Radio’s Kayleigh talked to Jill Bowman, the manager of the National Scout & Guide Symphony Orchestra, about a fantastic opportunity to join them for a week of music-making fun. 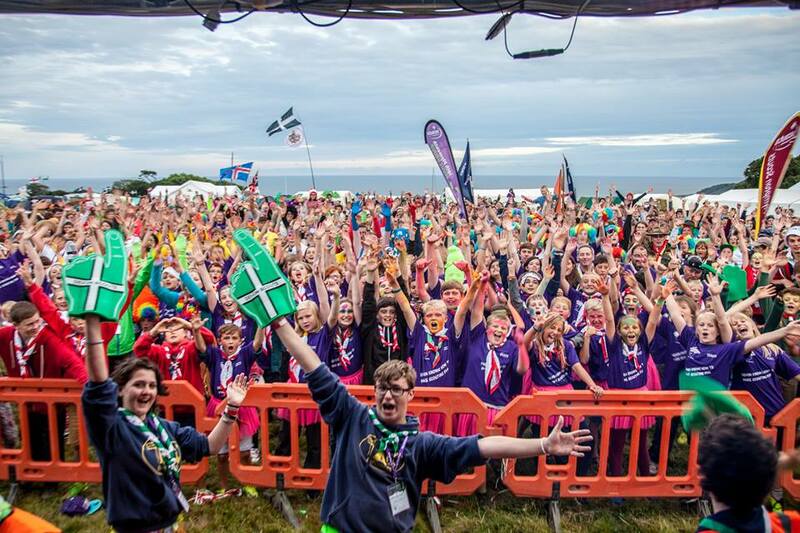 Over 75 Scouts & Guides from across the UK jointed together over the summer to form the NSGSO. The course, which is celebrating it’s 40th birthday, nearly didn’t go ahead this year after the orchestra was threatened with closure in December 2014. Jack from Ipswich set up a very successful petition to save the NSGSO. He thinks music and Scouting is an important combination. The programme included Tchaikovsky’s 5th Symphony and many pieces of film music so there was something for everybody to enjoy! In March we interviewed the organisers of the new events Strategy and Evolution that took place at the start of the summer, taking the place of the Sun Run and the Malvern Challenge. We found out more about the event for all listeners to enjoy! In April we caught up with Bear Grylls at an event for Leaders, as Adam interviewed him about his work as Chief Scout. In April it was announce that Chief Scout Bear Grylls extended his stay until 2018. Since becoming the youngest ever Chief Scout in July 2009, Bear has overseen a growing movement which has recently hit a membership of 550,000. 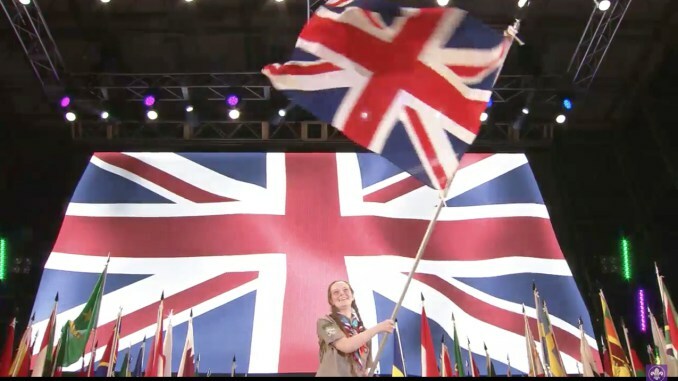 In May we attended Big Camp, where 6,000 Scouts from all over West Yorkshire camped over the bank holiday weekend at Harrogate Event Centre on the Great Yorkshire Showground. The event was one of the largest of its kind in the country and participants were spolit for choice when it came to activities. Some 300 activities were laid on for participants over three days, including laser tag, zorbing, climbing and a 50-metre abseil down the viaduct located next to the extensive showground site. 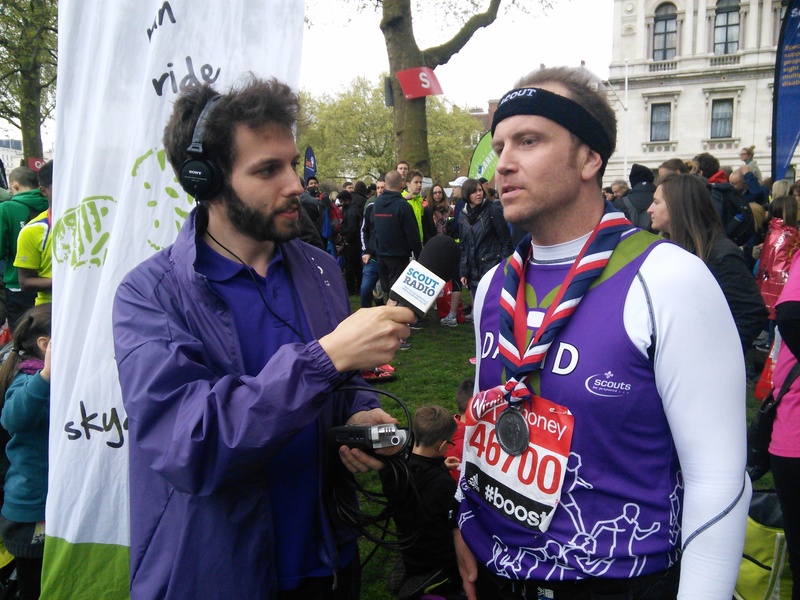 May also brought the London Marathon which our very own Adam has ran in previously, and we covered part of the course, which included local scout groups volunteering at water stations. In June we went to the Notts Big Weekend 2015 during the Bank Holiday. It was an action packed weekend with thousands of Beavers, Cubs, Scouts, Explorers and Leaders on site for 3 days of fun and adventure. Scout Radio ran a radio station all weekend, with lots of groups taking up the opportunity to have their very own mini show live on the radio. All shows have been uploaded to our website, and you can listen again here. 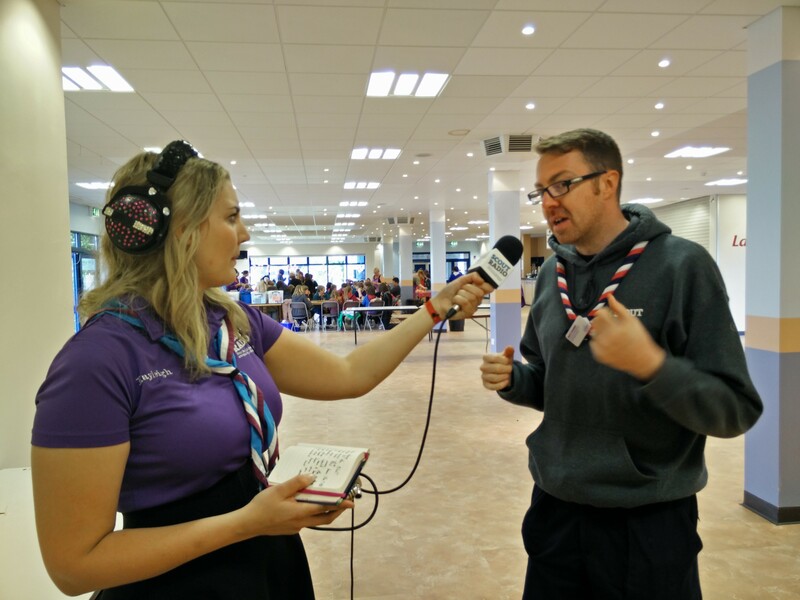 As the event drew to a close, Scout Radio’s Kayleigh Poacher took the opportunity to ask the County Commissioner Matt Rooney all about the event. June also brought our In Conversation With Craig Turpie, UK Commissioner for Programme! The Network Festival (a weekend camp for the Network section) was hosted at Rough Close Scout Campsite by Coventry Network on the first weekend of July, with over 400 Network attendees, which DJ Dave and Andrew attended and interviewed the Festival staff. And if July wasn’t big enough, Martin dropped into Gilwell 24 on the weekend after The Festival to experience all the 24hr fun at the yearly Explorer event held at Gilwell Park. July also brought the 23rd World Scout Jamboree held in Japan. Over 35,000 people joined together for a fantastic camp, our Scout Radio WSJ reporters Scott, Darren & Adam were out in Japan and brought everyone in the UK coverage of the global event. In August (well it was also July, but so was the World Scout Jamboree, and we thought that each event is big enough to justify having their own month in our highlights) the Scout Radio team travelled from across the UK to Mount Edgcumbe, Plymouth in attendance of the Devon Scout County Jamboree Run To The Fun 3. With over 1000 scouts on the site for a week, the Scout Radio team ran their regular Jam FM radio studio for all the camp attendees to get involved and enjoy as a site activity for the week of the jamboree. Despite the tropical weather it was an incredible Jamboree and the team have a lot of excitement for the next RTTF in 2018. 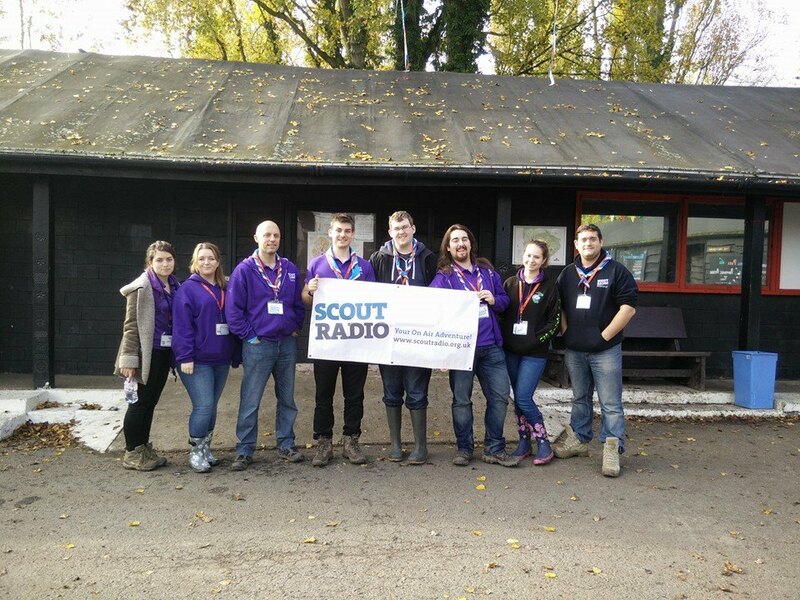 September brought the behemoth of a National camp for leaders that is Gilwell Reunion, where Scout Radio were in attendance interviewing everyone on site and running a radio broadcast from the Training Ground. 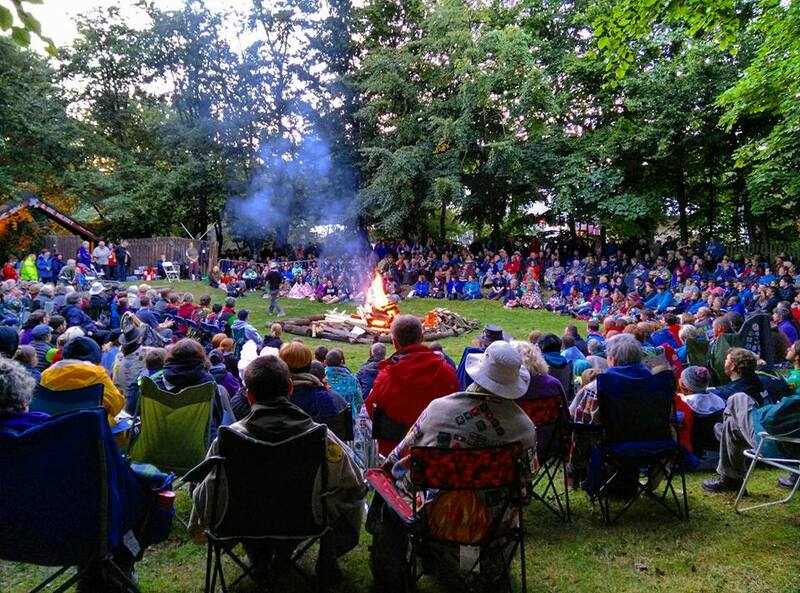 The camp took place on the first weekend of September at Gilwell Park. We were also launching our new programme & badge activity “our show”, discussing how to get your own scout radio show on a troop night from your hut. We ran two workshops during the weekend to explain more about Our Show, and getting people booked up so they could take part with their scout groups. October brought a weekend in Doncaster for one of our Scout Radio members, as Andrew is part of the youth volunteer planning team for the 2016 #Youshape event. 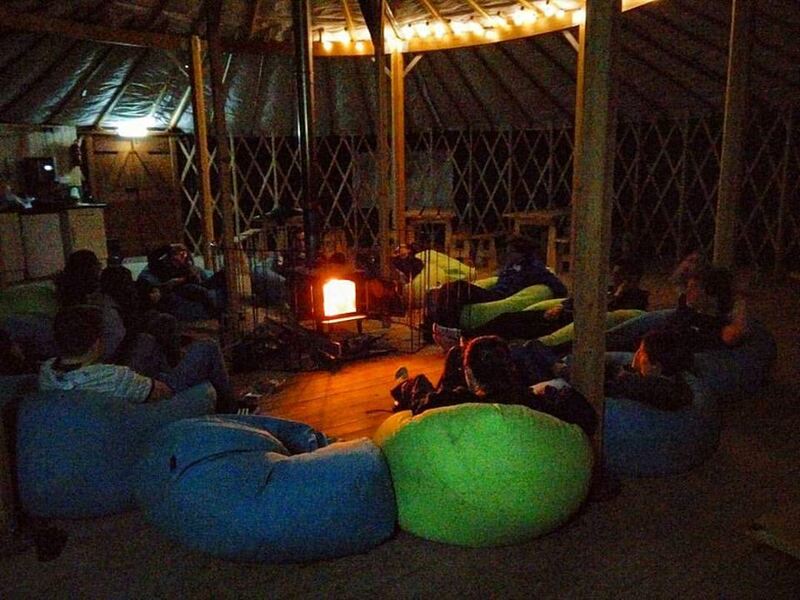 As part of the planning weekend hosted at Dearne Valley Campsite (where the event will take place in February 2016), Deputy UK Youth Commissioner Jay Thompson revealed more about the Youshape event itself, the biggest fact being that it has now expanded to a week of fun and youth-led adventure (instead of just a weekend) for 2016. After the successful Youshape event in 2015, Youshape 2016 is now a week-long event which will culminate in a weekend event/conference taking place at Dearne Valley Activity Centre near Doncaster. Over the weekend a team of youth volunteers between 14 & 30 (dubbed the Youshape team) will be running the event alongside deputy UK Youth Commissioners Jay Thompson, and Rosie from the HQ staff team, to bring a weekend of Youth-led Scouting, educational practises, information and fun to 200+ Scouts from across the UK. Scarefest was the last Scout Activity Centre national event for the year, hosted at Gilwell Park over the Halloween weekend at the end of October (and first days of November). Scarefest was an opportunity for Scouts and Explorers to try all sorts of adventurous activities in the dark, and of course with a special spooky twist for Halloween. By far the consensus was that Scarefest was the scariest in it’s 8 year history, with the Scouts being sure to tell us how horrifying the live mazes were. The weekend was concluded with a large and spectacular fireworks display and laser light show, reason enough to book for next year! December brought the #YouthApproved Scouts Scotland AGM, which Martin from Scout Radio was in attendance live-streaming the AGM for all to listen online. The Annual review and AGM for Scout Scotland was organised by Ross Cooty, a 17 year old Explorer. The highlights of the last year are probably the movement into youth involvement more and more, young people in partnership with adults and getting youth more involved in the decision making in the organisation…Particularly in the Beaver section where we often make decision for them, without actually considering the fact that they could make some of the decisions themselves. 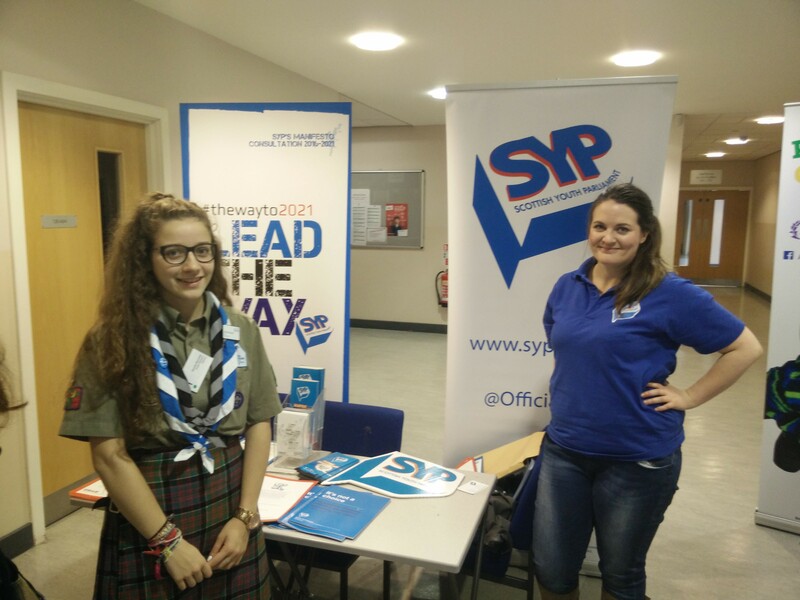 We also spoke to Sorcha Kennedy, a MSYP Scout Scotland representing scouts aged 14-25 in the Scottish Youth Parliament. She told us that she is in the process of collecting information from Scouts all over Scotland as part of a consultation and was at the Scout Scotland event because she believes in the importance of young people’s views being heard. Young people have a voice and it’s important and everyone’s involved, I’d just say get out there’s so many opportunities, theres constant opportunities all over the place, just attend as many as you can. And that’s all for Scout Radio’s 12 highlights of 2015! We hope you had a fantastic year and enjoyed our recap of all the past 12 months, with much more to look forward to and enjoy next year in Scouting. Happy New Year from Scout Radio!